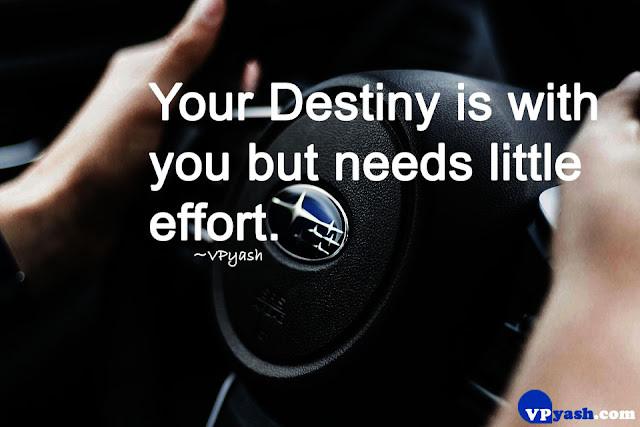 Home Best inspiring quotes Motivational quotes vpyash Your Destiny is with you but needs little effort. Your Destiny is with you but needs little effort. A young writer believes in dreams and inspiring the world with own thoughts, enlightening their hope by boosting thoughts so that the world can fly with their dreams. A thought close to his Heart - "If you can change your decision anytime then why can't you effort to change your life." Order Now "Wings Of Words "
Writer, Inspiring The World | Inspiring quotes | Messages | Sayings | Inspiring thoughts ©2017-2018. All Rights Reserved.